This is what guilty people do. They avoid being held accountable and they take the Fifth. Except these are some at the highest levels of law enforcement in America. 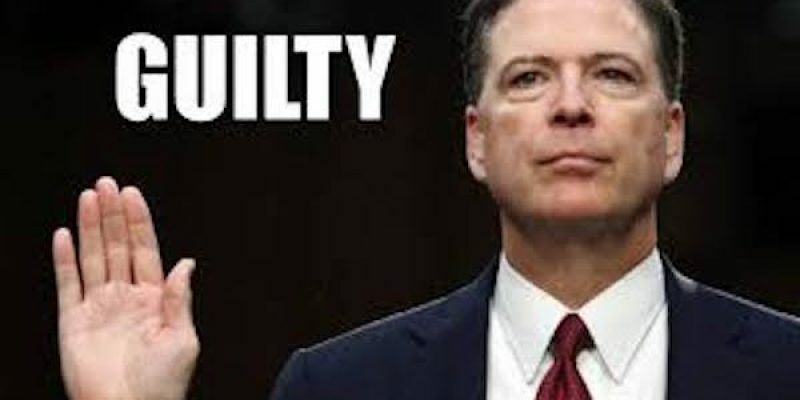 Fired FBI Director James Comey refused to appear before Congress on Monday to talk about the evidence presented against him in the 500-page Inspector General report, his mishandling of the Hillary Clinton illegal email and national security breach investigation. His fired deputy, Andrew McCabe, took the Fifth Amendment, attempting to protect himself from self-incrimination. Former Attorney General Loretta Lynch also refused to attend the Senate Judiciary Committee chaired by Sen. Grassley who addressed the numerous scandals outlined in the IG’s report. Another Democrat, Sen. Dianne Feinstein, prevented Grassley from subpoenaing the three democrats from testifying, according to committee rules. Mr. McCabe was fired for leaking information to the media, but maintains that Comey knew he was doing so, which Comey denies.